The bathroom is done! All the trim was painted and installed last weekend and, except for the final sealing, we can call this done! Hooray! Please admire our handiwork. 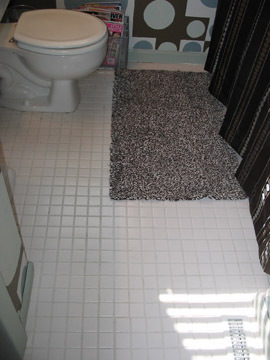 This bathroom re-do would not have been possible without the help of Kevin, who is a really good friend! Thanks Kevy!